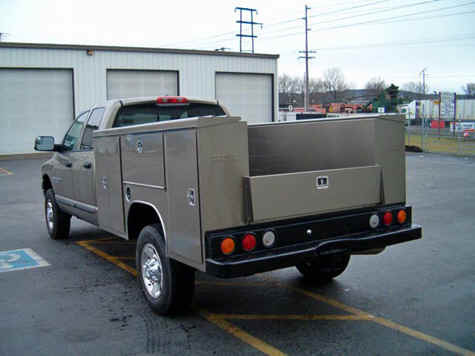 The new Pacific 96 inch service body fits your 56" cab to axle 3/4 or 1 ton single wheel pickup. 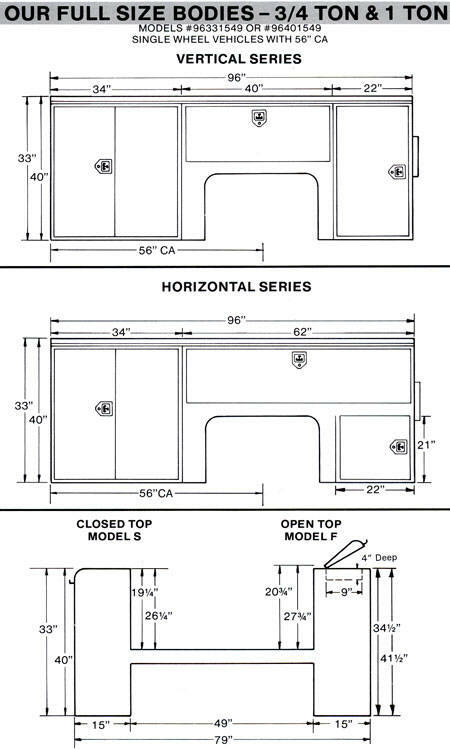 We offer both 33' and 40" high boxes in either the Vertical Series or the Horizontal Series with or with out open top compartments. 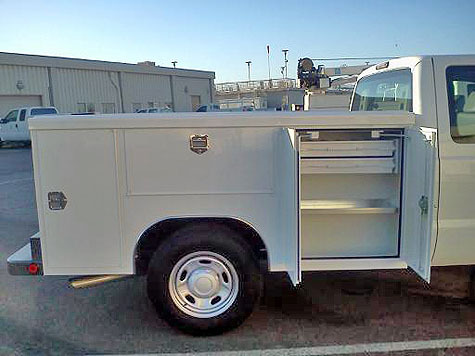 Pricing example: We have 40 inch Vertical Series 96 available with open tops painted single stage white and installed on your chassis $ 7,490.00. Comments to the Webmaster are appreciated.